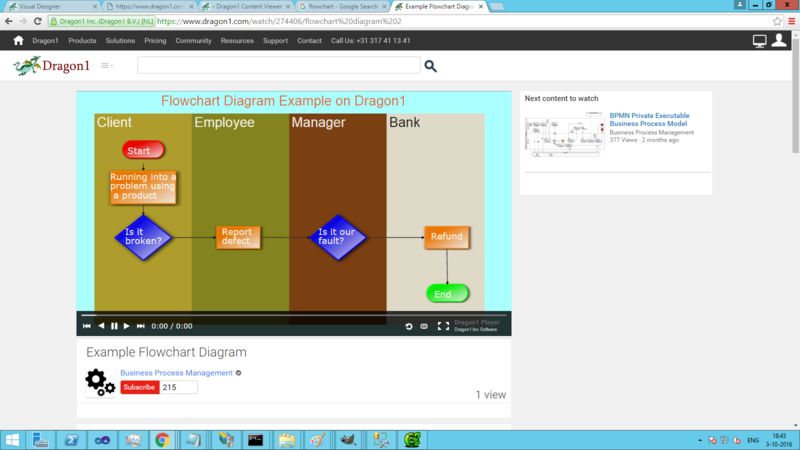 On the Dragon1 platform, you can create flowchart examples in an instance. 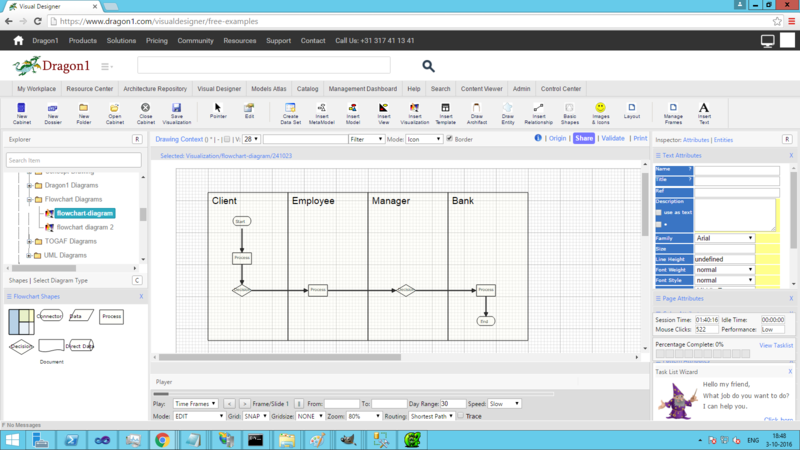 Select diagram type "Flowchart Diagram"
Example Screenshot of shapes placed as lanes. 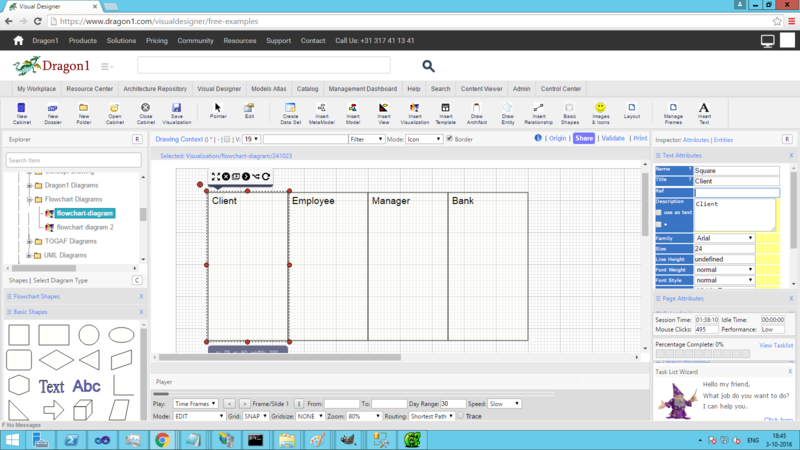 Example Screenshot of shapes placed in a lane. 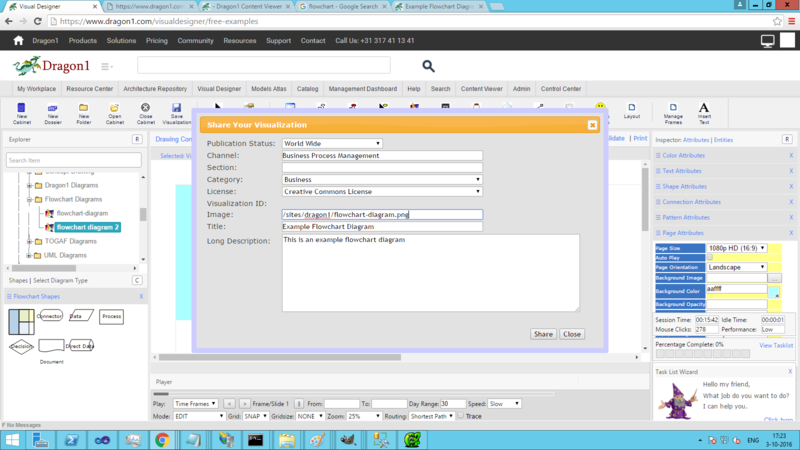 Example Screenshot of how to share a visualization so that it is visible on a watch page. 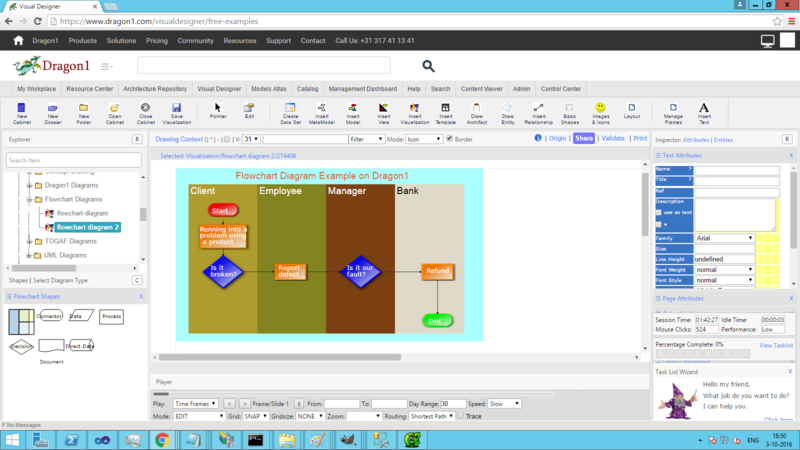 Example Screenshot of a flowchart diagram on a watch page.